What’s The Best Body Wash With Moisturizer For Dry Skin? 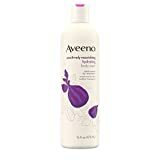 You are here: Home / Beauty / What’s The Best Body Wash With Moisturizer For Dry Skin? When it comes to your skin, it can be difficult to find the right balance to keep it looking soft and subtle. The environment, specifically, can be damaging to skin, causing it to dry out, wrinkle and suffer. If you have issues with dry skin, the best body wash you use could be doing more harm than good. It is important that you learn how to choose the right moisturizing body wash and then find the best body wash you can for daily use. Since your skin goes through so much, adding back in the natural moisture is essential to keeping it looking great. Unfortunately, there are so many body washes on the market that knowing which one is the best is a tough task. You could try a bunch of them, but that might be pretty costly. The next best thing is reading through reviews. Most reviews, though, are somewhat biased. People simply state their own opinion, which could be influenced by a lot of factors, not just how good the body wash actually was. So, reading consumer reviews may not be the best course of action. Expert reviews can often be as bad, especially if they were paid to write the review. We have solved the problem for you by writing our own unbiased review. We stick to the facts. We use information from manufacturers, our own experiences and consumer opinions to put together a complete, accurate picture of each of the body washes we review below. We keep our ideas out of it and carefully weigh the opinions of users to get to the truth. We hope you can use our reviews to make an informed decision of your own. Before we jump into the reviews, we want to go over some common questions concerning dry skin and skin care. We think providing you with this information will help in the overall process of finding the best body wash to suit your needs. 1. Is it possible to bathe too much? Taking a shower or bath every day should not harm your skin. However, you do not want to bathe too many times in one day, as it can dry the skin. It removes essential oils from the skin's surface that help it to stay hydrated. You also need to choose your body wash carefully so as not to pick one that will be too drying on the skin. Your skin will let you know if you are bathing too much, so pay attention to its condition. 2. 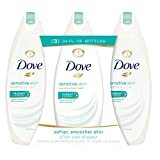 How can I find the best body wash? Again, it is about listening to your skin. When choosing a product, make sure you read the label and pick one that matches your needs. For dry skin, that would be something containing natural oils or that says it is moisturizing or hydrating. After using a new product, pay attention to how your skin feels. If you notice issues, stop using the product. 3. Why does skin get dry? Dry skin can be caused by environmental factors, such as dry air, the body's reaction to something, or even by health conditions. If you do not drink enough water, that could also cause dry skin. Dry skin happens when the moisture content in the skin is not balanced properly. Something has happened to stop it from being able to lock in moisture as it should or to lose more moisture than it can replace. Essentially, your skin gets dry because the moisture barrier is somehow disturbed and the skin cannot hold onto the moisture it needs, so it becomes dry and flaky. 4. How can dry skin be fixed? Fixing dry skin can be a process. It takes time to get it back to the right condition where it no longer lacks moisture. The best way to do this is to moisturize your skin often. You should also avoid harsh products that can cause drying. The choice of body wash you use will play a huge role, so make sure to get one that will hydrate and nourish your skin. Even when using moisturizing body wash, always use lotion after bathing to really lock in the moisture. 5. Should I use an oil-based body wash? Some people worry that an oil-based body wash will leave their skin greasy or cause clogged pores. However, if formulated correctly, an oil-based body wash can be ideal for moisturizing the skin. It also won't leave a residue. Poorly formulated products, though, could clog skin and do more harm than good. Creating the reviews below was a process of learning as much as we could about each product. We looked at the manufacturer's information on the product. We considered expert reviews. We also looked at consumer comments. We weeded out biased information and isolated issues to get to the heart of what each product really is and what it can offer. Below we offer an unbiased, accurate review of each body wash. We do not insert our opinion. We have carefully devised each review to provide you with the best information possible so you can use our reviews to help you make your final purchase with confidence. In general, body wash is not an expensive product. While you will need to keep buying it as you use it, you won't need to buy it all that often, so it is not a huge investment money-wise to buy this product. Typically, prices for products made specifically for dry skin will run anywhere from $5 to $15. There are products that fall outside those parameters, though. It often depends on the brand name and the specific ingredients used in the product as to how much it will actually cost. Rituals The Ritual of Sakura Shower Oil, 0.52 lb. A luxurious, intensely hydrating body wash that leaves skin super soft! It is very hard to look at the best body wash on this list and choose the one that stands out as the best. This is because all these products had people saying good and bad things about them. You really can't ever expect to find a product that has all positive reviews. Sometimes people complain about little things, or the review is based on an outside factor that isn't even related to the product. 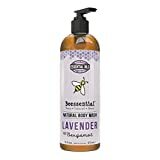 We carefully weeded through the comments on products to find the one out of all of them that seemed to get the most positive remarks and really stood out above the rest as being the most likely to please someone who wants a moisturizing body wash that cleans well and leaves skin feeling soft. With all that in mind, we had little trouble crowning OGX Extra Creamy + Coconut Miracle Oil Ultra Moisture body wash. Despite the long name, this OGX body wash seemed to hit the right note with the most people. 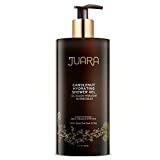 It strikes a good balance between the oil base, which is super moisturizing, and the cleansing portion, which creates the lather that people seem to really want when it comes to a body wash. Furthermore, it is priced right and will provide you with a good value. Plus, it doesn't hurt that this is an easy-to-find product, sold in most drug stores or mass retailers. Another great point is that many people dislike strong scents. This one is naturally scented and has a tropical, coconut smell that is not too strong. 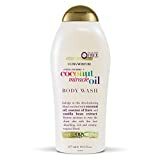 The majority of people really like the smell of this body wash.
Of course, there are people who really do not like an oil-based body wash, so if you are one of those, then we still suggest giving this OGX body wash a try. The oil is not as noticeable, but its effects are. You will be left feeling clean and fresh while also getting the right amount of moisture to hydrate your skin. We feel fairly confident in our top pick. While all the best body wash on our list are products we would recommend, they might not work for everyone. However, we feel the OGX body wash had the most universal appeal and is the perfect option for the first to try off our list if you want to try out new body washes to find that will suit your needs.